Locality: United States, Colorado, Eagle, Gore Range, Eagles Nest Wilderness Area. 1 km west of Lower Piney Lake. 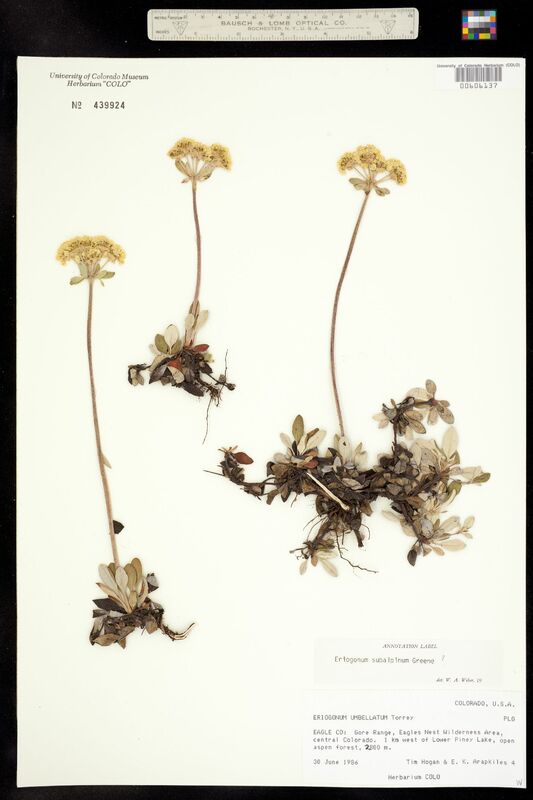 Notes: Eriogonum subalpinum Greene, det. W.A. Weber, no date. Original ID: Eriogonum umbellatum.